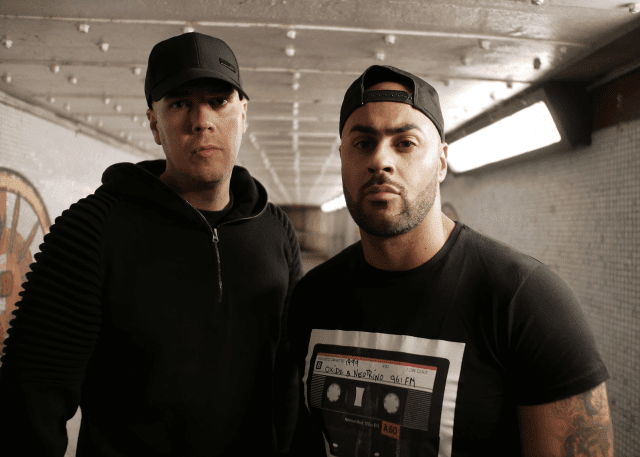 Hailing from London, Oxide and Neutrino are one of UK garage’s leading DJ/MC duos. Both musicians started out aged 16 on the SUPREME FM pirate radio station, where they became members of So Solid Crew and formed the new station DELIGHT FM. After building underground hype for two years and selling over 20,000 white labels, Oxide and Neutrino finally put out the single ‘Bound 4 Da Reload’ in 2000. The track, complete with its notorious sample from the BBC’s Casualty, shot straight to number one in the UK charts and sold over 200,000 copies. Soon after that, the duo dropped ‘No Good 4 Me’ featuring Megaman, Lisa Maffia and Romeo, which came in at number six in the Christmas charts and had a similar level of commercial success. Oxide and Neutrino’s first two singles both became UKG classics, as did 2001’s ‘Up Middle Finger’, which won a MOBO award for Best Video; ‘Devil’s Nightmare’, which soundtracked the Hollywood hit Tomb Raider; and the duo’s debut album Execute, which went platinum. The duo’s frequent collaborations with other So Solid Crew members, and riotous live performances featuring their signature hits have established Oxide and Neutrino as integral parts of the UK’s still-thriving garage scene, and highly influential artists in their own right.